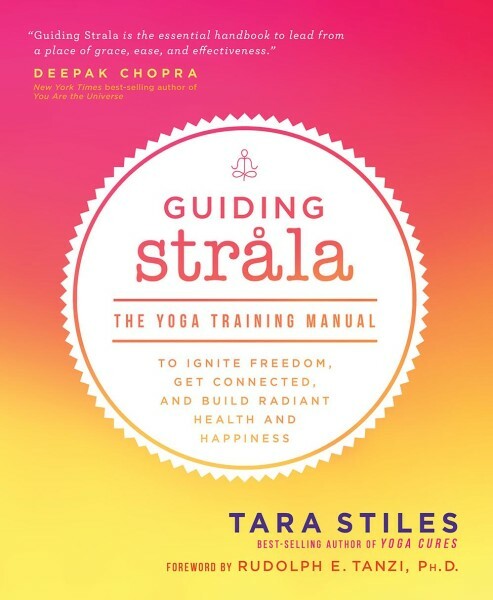 Free Preview: Guiding Strala, Foreword by Rudolph E. Tanzi, PH.D.
I’m proud to share the foreword of Guiding Strala by our friend, the fantastic Dr. Rudolph Tanzi. I met Rudy at Deepak’s Sages and Scientists conference years ago. He was giving his talk on his research and something pulled me to need to find him after and ask him about my experience “seeing colors” as a kid and at times when I’m unplugged from distractions. I had an intuition he could give me some insight and man I was right. Funny thing, well, synchronicity lets be honest, was I didn’t have to try to hard to stand in the line to ask him my question. I was handed a slip of paper that had his name on it right after his talk by one of the organizers of the conference. The slip was to inform me who I’d be sharing a car with on the way to the airport. Apparently all the presenters (I was leading the yoga) were getting these slips right at this time and Rudy was on the closing end of the conference. Woah. . ok universe. I will ask. Turns out the space creating practice of Strala, Rudy’s approach to research, and the intuition that a lot of us have in this world to connect, and get inspired from each other, gelled. I love the story Deepak tells about how he met Rudy in the Men’s room at TED. They started talking about consciousness or something and became good friends and collaborators over the years. Rudy is a no bs mega mind star on this planet and beyond and I’m proud to know him over the years and so honored to have his gracious understanding and endorsement of strala by the scientific and sage community to share with you. We practice ease, because rigidity, although familiar, has tricked us into being diligent and hard working, has aligned us into a chaotic mess. Ease, grace, flow. It’s a constant choice to come back to. When we do, the rewards are oh so vast. Oh, the “seeing colors” thing if you are wondering is often talked about as synesthesia if you are interested. Enjoy the foreward here and I hope you enjoy Guiding Strala. In the last 20 years, we’ve made some astonishing discoveries. We know now that our neurological make up is dynamic and plastic, every day recreated in response to how we each move through our lives. We know that our genetic activity, called gene expression, is also soft-wired, not hardwired, equally responsive to our daily activity. And we know more than ever that stress, both physical and emotional, is central to the ailments we struggle with most. It leads to faster aging, obesity, anxiety and depression, autoimmune and digestive disorders, chronic pain, heart disease, cancer, and neurological disorders. Stress also produces chronic inflammation, which compromises many of our body’s critical systems, and plays a key role in Alzheimer’s disease. Maybe most important in all this: we know that we are each in the driver’s seat of our own lives, in control of our personal destiny. We know we can change our own health, and our entire life experience—on chemical, neurological, and genetic levels—through the choices we make each day. Our lives are our own to create. So how do we get on this path to creating what we want? Many modern approaches to fitness and self-care actually increase our stress burden, often in an attempt to address what we see as wrong with our bodies. Since stress isn’t a sustainable health system, this might not be our best strategy. Strala is a powerful and revolutionary approach to self-care that decreases our stress burden, supports what’s right with our bodies, and leads to astonishing levels of both health and fitness. It accomplishes this in two steps. First, Strala gives us a keen sense of perspective, a mindset that readily disposes the stress-inducing attitude of no-pain-no-gain, replacing it with something that works much better. Strala allows us to realize that we can accomplish far more in our bodies, and in our lives, by feeling good every step of the way, by becoming whole in body, mind, and spirit. The resulting sense of balance and harmony carries us further than aggression, right down to the level of our nervous system and genes. Second, Strala gives us a breath and movement practice, that puts our bodies and minds where they need to be in order to do away with suffering and foster healing. It puts our destiny in our own hands, catapulting us beyond our dreams. This practice allows us to let go of struggle, find inner balance, and move with grace and coordination in everything we do. Most importantly, it teaches us how to release stress and tension from our minds and our bodies, no matter what challenges we face. We find ourselves more flexible and adaptable not only in body, but in mind and spirit. In this way, we’re able to create the body and mind we need, to thrive in this world. I’ve had access to all kinds of yoga, and all kinds of approaches for handling stress and illness. There are many possible benefits, but also some common missing elements. And when it comes to yoga, most of what’s missing is connected to a pattern of rigidity, that limits the potential of yoga to heal and enable us. In fact, nearly every mental illness can be categorized either by the presence of chaos, or rigidity. 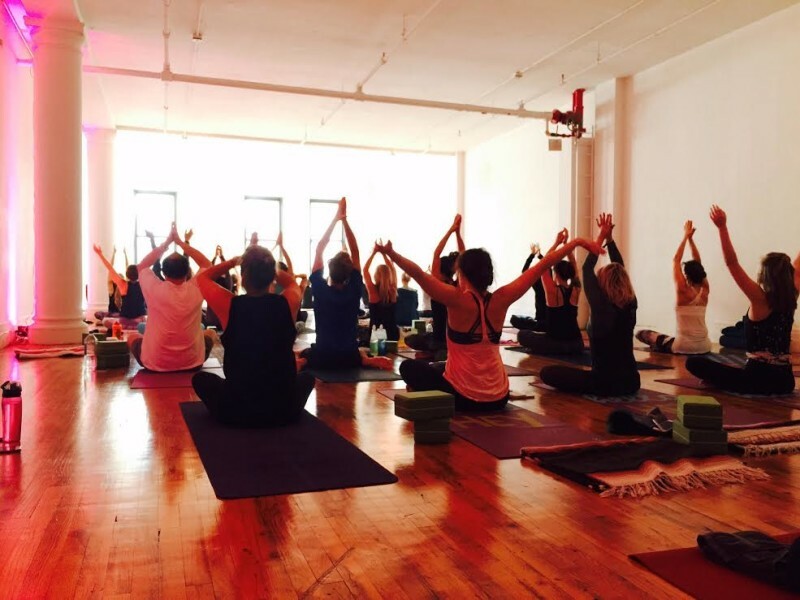 So when we find rigidity in yoga—in our healing practices—we know it’s time to make a change. What I love about Strala is it creates this change by making us free to live dynamic and infinitely adaptable lives, in which mental and physical well-being reciprocally strengthen each other on a daily basis. The key is to release ourselves from stress and the prison of rigidity, learning to live a different way. We have an astonishing power to rewire our bodies and minds, through how we choose to live. The result is that we end up accomplishing much more, creating the ideal conditions to promote self-healing on all levels. What I’ve experienced in Strala is that this system gets it right. It fills in the missing elements. Strala is a highly effective self-care method for releasing the tension that inhibits our health and our lives, on every level that matters, right down to our neural networks and programs of gene expression. I’ve seen how it also allows us to accomplish far more, by creating a new physical reality of who we are. It’s an elegantly simple and sophisticated way to move our breath, our body, and our whole self into the state we need, to create who we want to be: the optimal expression of ourselves. Guiding Strala provides an exciting and impeccable road map for leaders of all backgrounds and pursuits. It gives a clear process we can readily embody, for releasing tension and getting back into the flow. We learn to mobilize and empower ourselves through a mindset mindset and practice that leads to accomplishing more with less effort. And most importantly, we form a positive connection with our most radiant self, which, in turn, allows us to form a positive connection with the people around us. Whether you’re leading a yoga class or a business, supporting your team or your family, Guiding Strala will uplift and enable your life, in everything you do. My own work led to Super Brain, then Super Genes. Strala leads us to a Super Self, which enriches the lives of all around us. The more people incorporate the practices of Guiding Strala into their everyday lives, the more relaxed, inspired, and uplifted our world will become. The physical and mental freedom gained from Strala allows us to maximally enjoy our own existence while enhancing that of those around us. And, it all begins with what we can visualize and create, within each and every one of us. Let Strala guide your way. Get your copy of Guiding Strala and we’ll send you two FREE exclusive Training Videos.